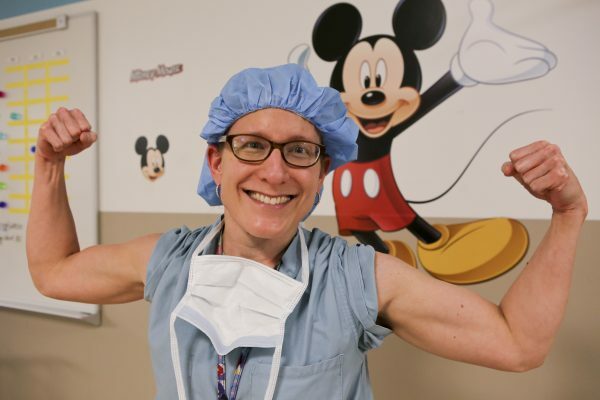 Dr. Sheryl Handler isn’t shy about flexing her muscles after a day in the operating room. “With orthopedic surgery it really takes a lot of sheer muscle sometimes to realign the bones,” she says. 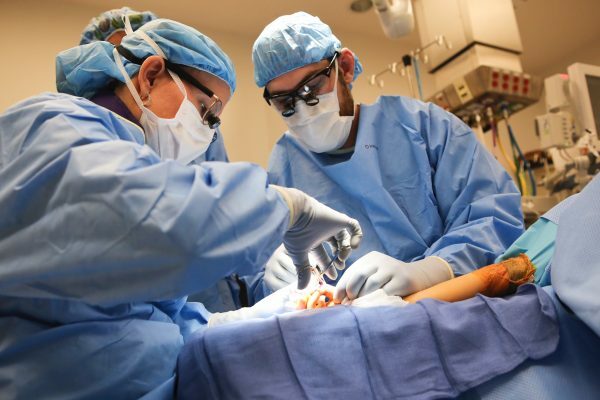 Of all the medical specialties, orthopedic surgery is arguably the most physically demanding. Pushing bones back into place requires brute force, while long surgery sessions demand stamina – which may explain why orthopedics is one of the few medical specialties still male-dominated. Today only 4% of board-certified orthopedic surgeons are women. Dr. Sheryl Handler at Akron Children’s Hospital is among that select group. Wanting to increase her strength and endurance, the petite, 5-foot, 4-inch orthopedic surgeon enrolled in an online workout community 3 years ago. As a busy doctor and mother of 3, the online support group helps her stay committed to daily workouts and better eating habits. Dr. Handler does 25- to 45-minute streaming workouts at home. Her Facebook group includes women from across the country. They draw support from one another, not just about exercise, but also about the ups and downs of life that can come with balancing work, family and fitness. Most days, Dr. Handler fits in her workouts either late at night after she puts her kids to bed or early in the morning (5:15 a.m. workouts are not unusual), doing 25- to 45-minute streaming workouts. The program includes various workouts of different durations, some lasting over 3 months and concentrating on cardio, while others are all about building muscle. Of all the medical specialties, orthopedic surgery is arguably the most physically demanding. Here, Dr. Handler with orthopedic resident, Dr. Luke Smith, repair a fractured thumb. Dr. Handler credits the program with helping her shed 20 pounds in the first 4 months and keeping it off. It’s also made her marathon surgery days, sometimes stretching over 6 hours for complex cases, easier. Along with the exertion that comes from performing orthopedic surgery, Dr. Handler often needs to wear an 8-pound lead apron that adds to the strain over the hours. Coupled with the bright surgical lights and the operating room temperature (which is kept extra toasty for the comfort of young patients), Dr. Handler comes out drenched with sweat. Dr. Handler’s exercise regime was featured in The Wall Street Journal’s “What’s Your Workout” column on Jan. 7. The frequent column has featured the likes Olympic skier Billy Demong, former NFL player Shannon Sharpe and Sugarland singer Jennifer Nettles, to name just a few.